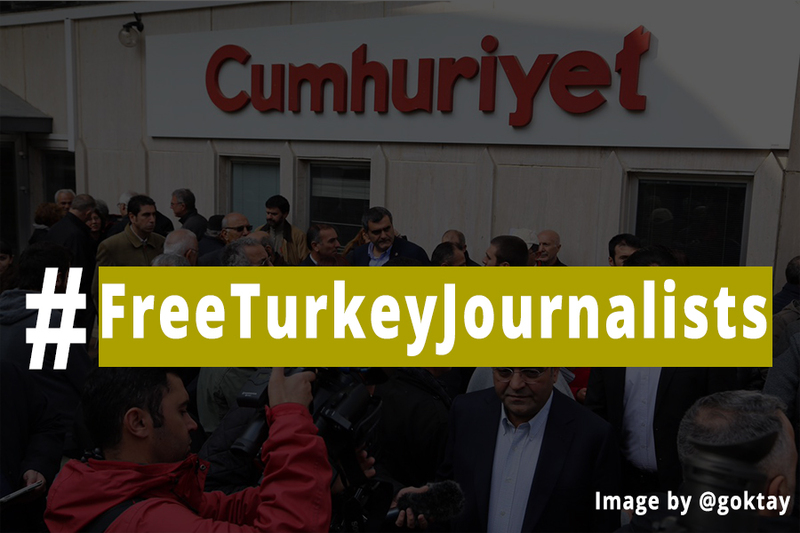 On Oct. 31, Turkish police launched a mass operation against the newspaper Cumhuriyet, one of the last remaining sources of independent news and information in Turkey. 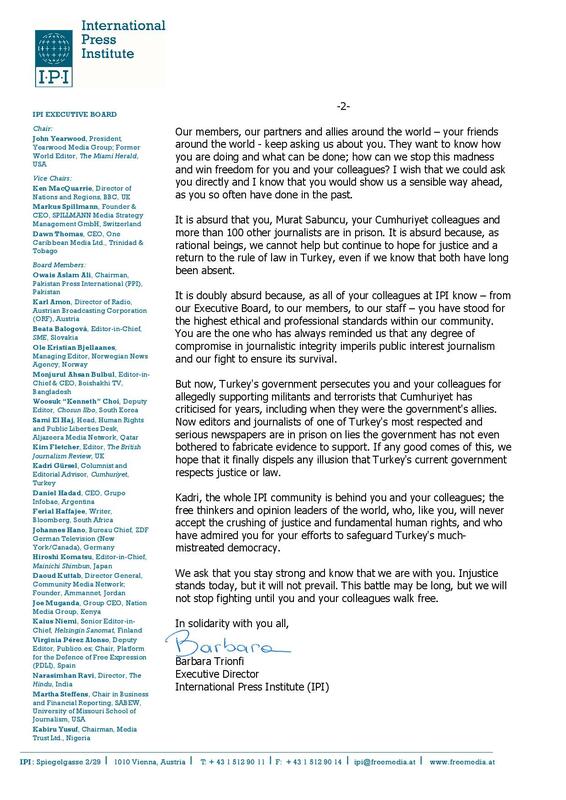 Police detained at least 13 journalists at the newspaper, including Editor-in-Chief and IPI Member Murat Sabuncu and IPI’s Executive Board Member Kadri Gürsel, who is also the chair of IPI’s Turkey National Committee. 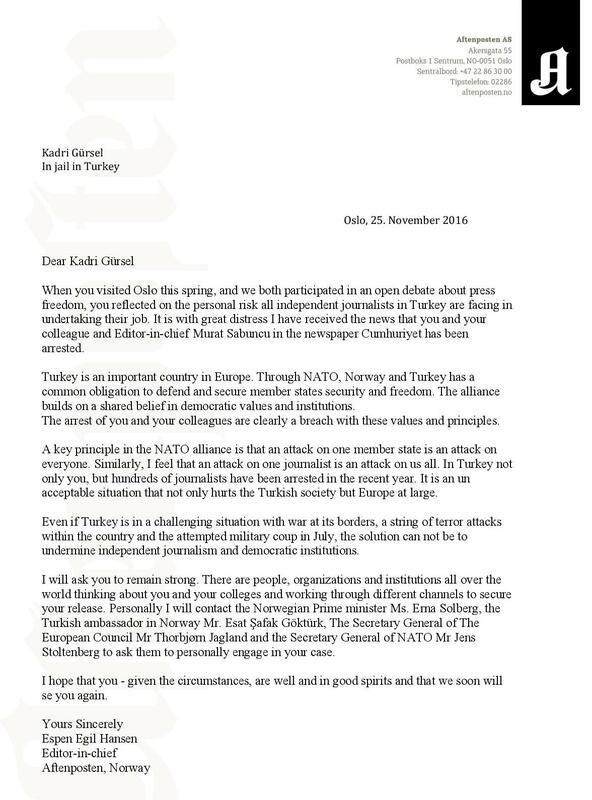 On Nov. 5, Gürsel, Sabuncu and seven others were transferred to Istanbul’s Silivri Prison pending trial. 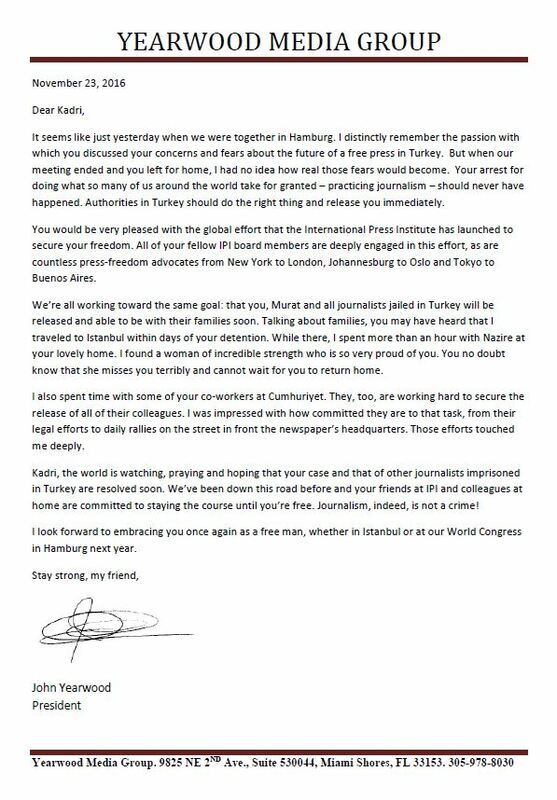 IPI and 13 other international press freedom and freedom of expression groups have called the arrests an “extraordinary attack on press freedom” and urged the Turkish government to free our colleagues and Cumhuriyet and end arbitrary detentions of journalists in Turkey. 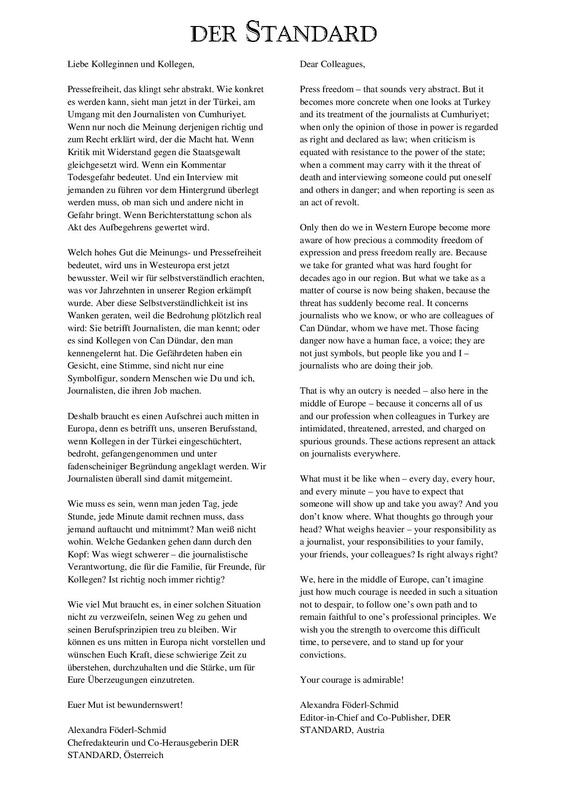 We need to take a stand and unite our voices! 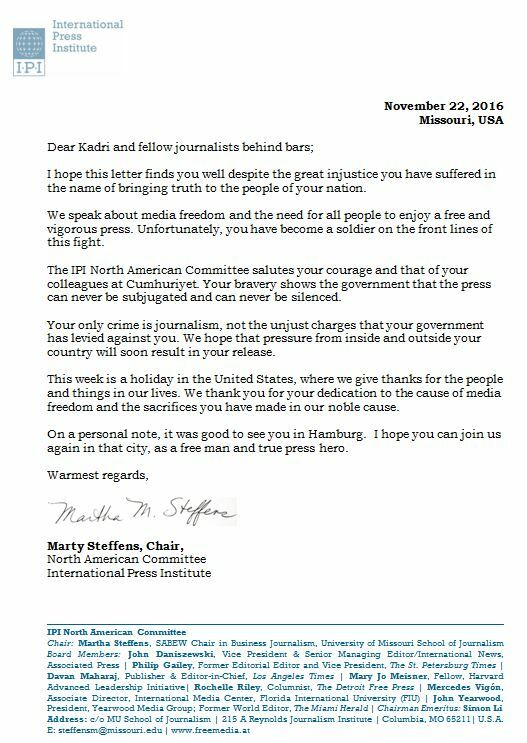 Join us and help us spread the word. 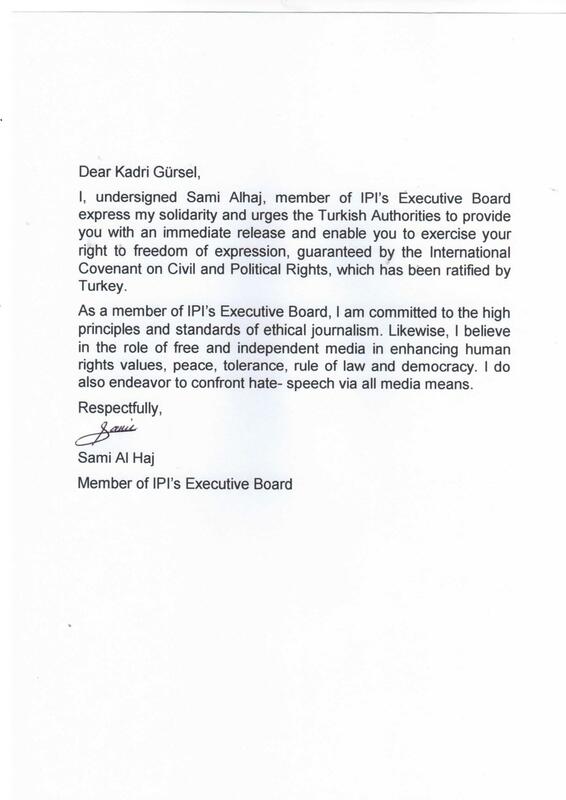 IPI invites colleagues to send a letter of support to the imprisoned journalists. 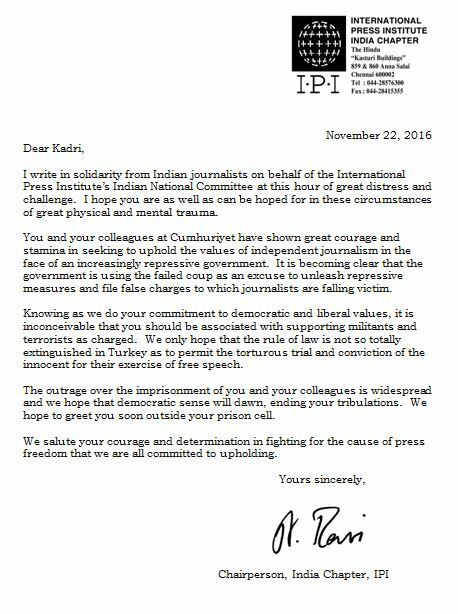 These letters are intended to bring hope to all imprisoned journalists, and to remind them that the commitment of IPI as well as other international organisations to fight for their freedom will remain undeterred. 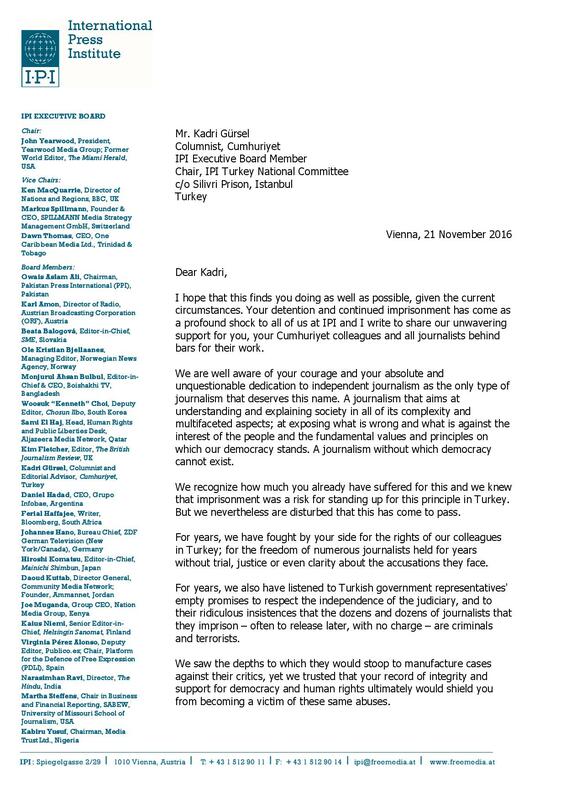 These letters will not only help the journalists remember that they are not alone, but also will help us to put additional pressure to the Turkish government. 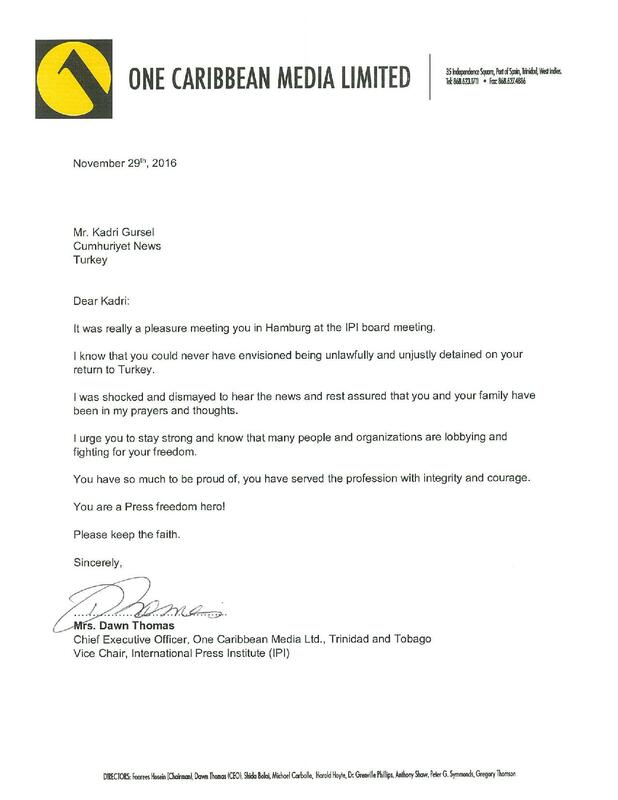 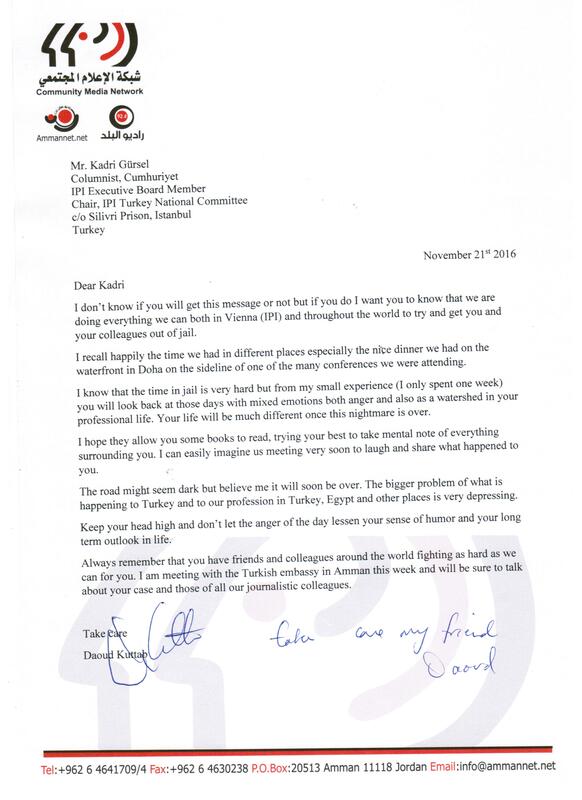 All the letters will be sent directly to Kadri, Güursel, Murat Sabuncu and will be posted on IPI’s Facebook page and Twitter, if authorised for publication. 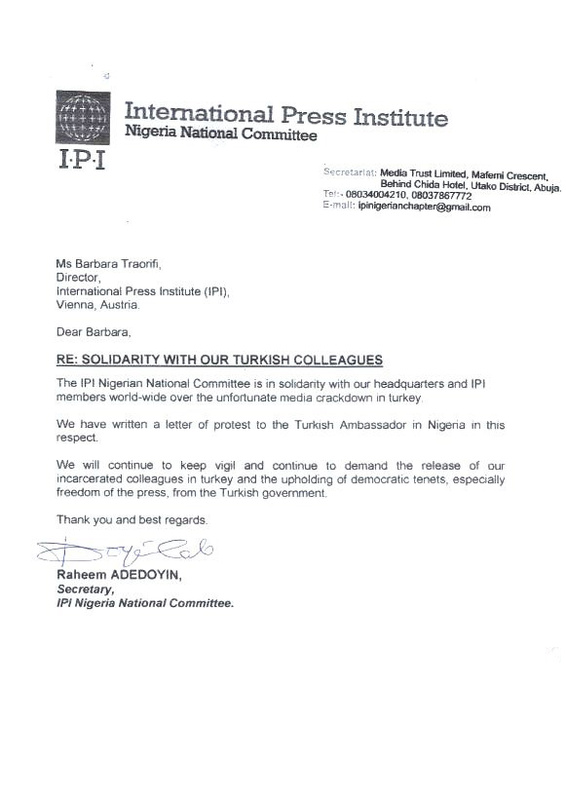 IPI is gathering signatures from around the world for a formal petition to urge the Turkish government to drop all charges against the detained Cumhuriyet journalists and release them without delay. 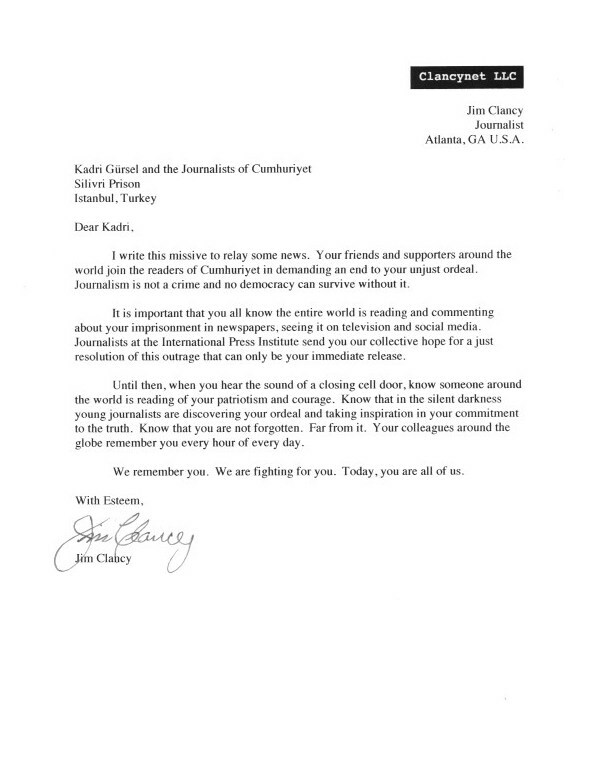 Let’s show the Turkish government that the journalistic community is strong and united. 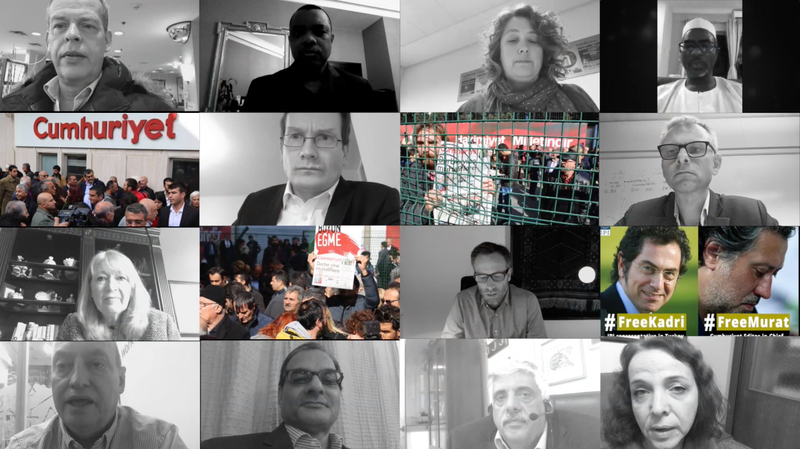 We need social media to be full of our hashtags. 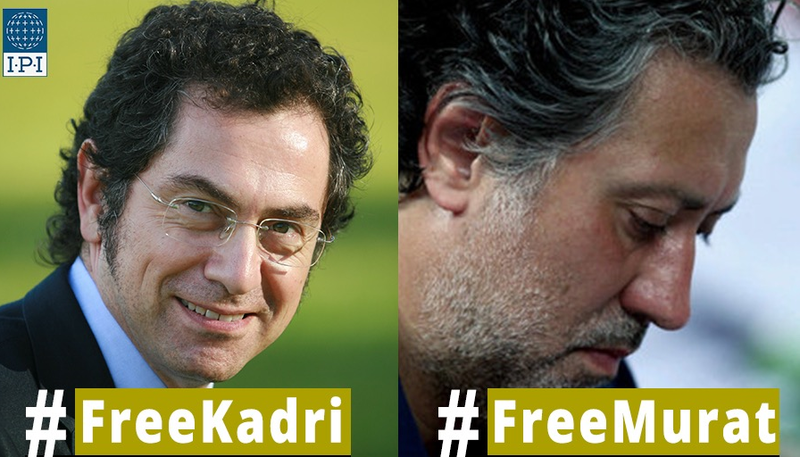 • Make a video or take a photo asking the Turkish government for the immediate release of our colleagues at Cumhuriyet. 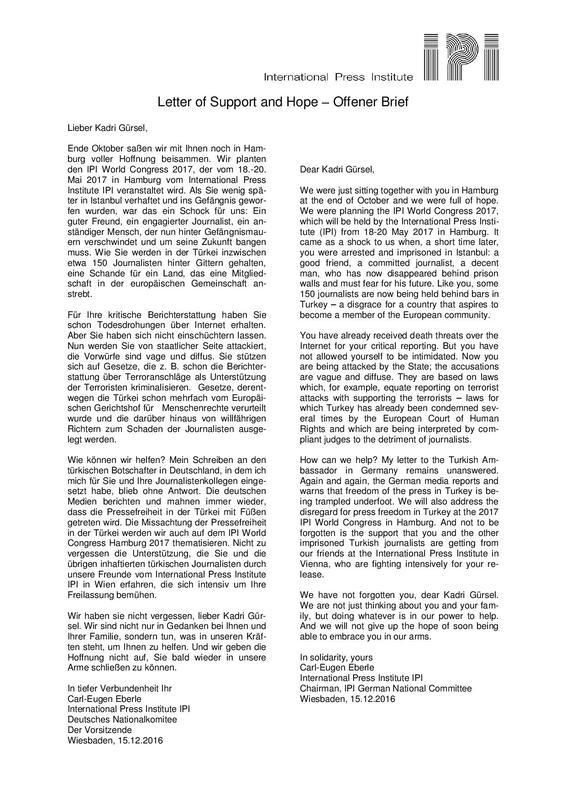 • Post the images and messages to your social media accounts or on our Facebook page. 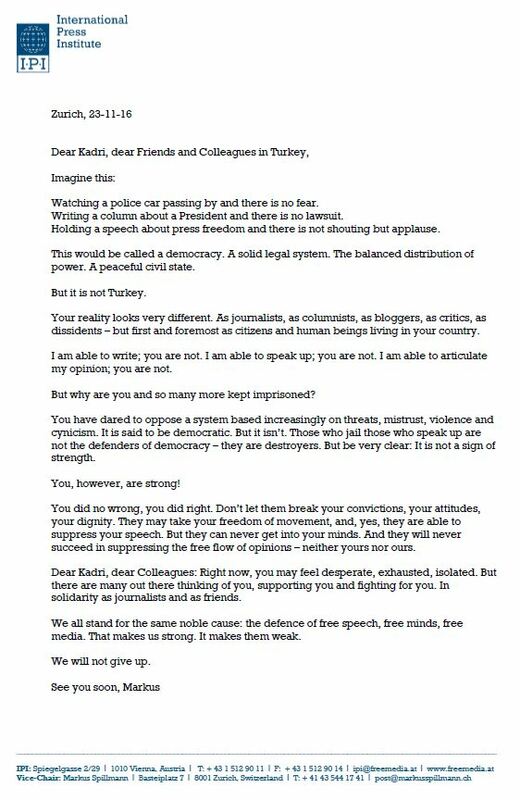 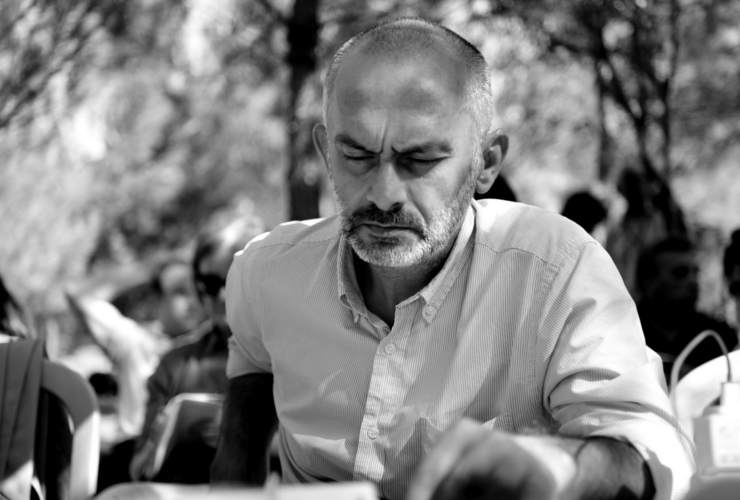 Please help us continue our work defending media freedom in Turkey. 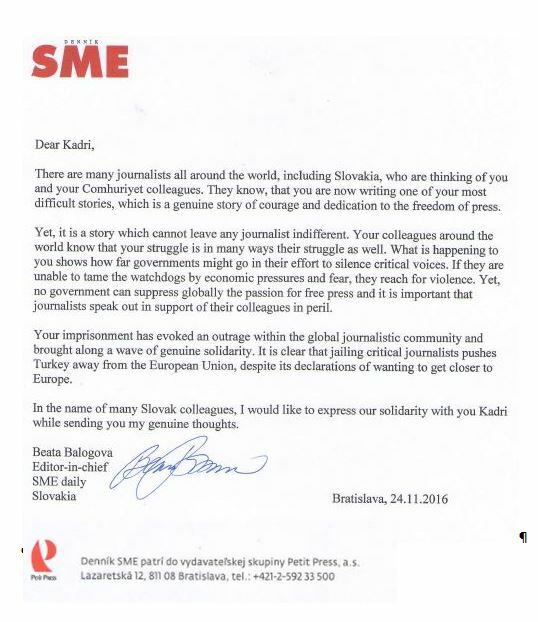 Help us ensure that media in Turkey and around the world can operate free from interference and without fear of retaliation.